Are You An 8th Grade Yeshiva Boy? You're invited to join a SHABBOS TO REMEMBER in Dallas, Texas! Meet warm dedicated rebbeim and friendly bochurim! Fun trips, delicious shabbos seudos, dynamic shiurim, Melave Malka and more…! Make new friends and amazing memories! ONE SHABBOS COULD CHANGE YOUR LIFE! Click here to register for a SHABBOS TO REMEMBER! This year’s Shabbaton begins Thursday, January 31st at 4:00 pm and ends on Sunday, February 3rd at 10:00 am. Preferred arrival time at either Love Field or DFW International is between 12:00 and 4:00 pm. Please schedule departure between 12:00 and 3:00 pm on Sunday. The Yeshiva provides pick-up and drop off at the airport. Please contact us if your son will be traveling as an unaccompanied minor. 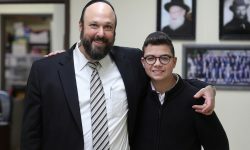 Dedicated and experienced counselors and Rebbeim will be supervising the Shabbaton and your son for the entire duration of his stay in Dallas. All sleeping, eating and other accommodations will be arranged by the Yeshiva. Please register with us and arrange your son’s fight. There is no charge for the Shabbaton. Detailed schedule and packing list will be provided upon registration. 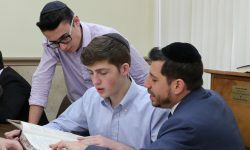 An application to the Yeshiva is not required, and Bechinos and entrance exams are not part of the Shabbaton. Bechinos and entrance exams will be available on Sunday by request and will require an application to be completed in advance. Applications are available by clicking here. If your son will be taking a Bechina and entrance exams, please contact us so times and fights may be scheduled appropriately. 4:00 –Arrive, unpack, settle in. 9:30 PM – Arrive back in Yeshiva. 10:30 – Gemara iyun Shiur with Rabbi Rodin. 12:15 PM – Ruach Trip- Indoor surfing! Supervised free time after Shabbos Seuda. Rest, play games, relax. 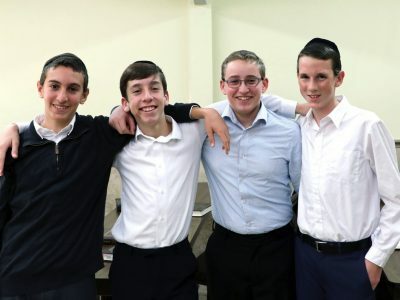 4:50 PM – Mincha, Shalosh Seudos with Yeshiva, join Yeshiva Mussar Shmues, Maariv, havdalah. 7:30 PM – Motzaei Shabbos activity- Indoor Obstacle Course or Trampoline Park, followed by Pizza Melaveh Malka, kumzitz. 8:00 AM – Shacharis followed by breakfast and…. Goodbye! Thanks for coming, we hope you had a great time!! For more information, please call the Yeshiva office at (972) 250-4888 or email sbroderick@texastorah.org.